We have been having a great time this year with our Unity code club, we've been exploring first person games that places our player in a 3D world. I had expected that the FPS style would produce the classic shooter style game, but I've been very pleasantly surprised to see that our students have tended to focus more on other aspects of the game. We have a student with a game that involves high speed running with boost and a telekinesis function for moving objects. Another game has the player moving around the scene with the ability to jump into vehicles and drive them around. Another student has build an amazing low poly city that has waves of zombies tracking the player down. It's a complete game with ammo counts, huds, weapon switching and beautiful detail. This term we have been lucky enough to receive a STEM Club grant from Inspiring Queensland. With this grant we have been able to acquire the capability to deliver VR for our coders. * How do we move around in a VR world, without making our players feel sick? 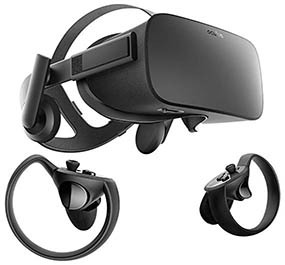 - How do different VR platforms track movement? * How can we play test our worlds in real time while developing them? * What makes a VR game compelling? * How do we interact with objects in the VR world? We are looking forward to exploring these topics and I can't wait to see what our students produce. * Other - Unity 3D - this is self driven and can be as deep as the students choose to go. We have structured content for students who need / like that, but we also encourage students to explore and try ideas out.